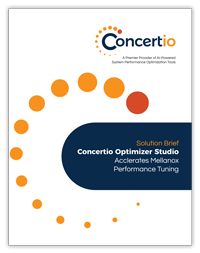 Concertio Optimizer tools monitor and learn from the interactions between your applications and systems to dynamically bring them into concert with each other. Achieve maximum performance and virtually perfect system balance through optimal configuration settings. Adding Concertio Optimizer to your systems operations process is fast and easy, without any additional integration costs. Use Concertio Optimizer to optimize your systems more effectively than with human operators. Install Concertio Optimizer on your system. Installation is a breeze and takes less than 5 minutes. Concertio Optimizer learns and gathers information about your system and workload. Concertio Optimizer adapts your system settings to match the workload characteristics to achieve higher performance for quicker results. Learn how Optimizer Studio enables Mellanox to achieve optimal tuning for different networking workloads varying from HPC to cloud, storage, NFV and artificial intelligence. Use machine intelligence to optimize both hardware and software configurations to achieve performance of tailor-made systems. Discover hidden systems configurations that can deliver the most optimal system settings by leveraging state-of-the-art (patented) automated optimization techniques. Easy-to-integrate and use, Concertio Optimizer Studio reduces the time needed to discover and tune complex systems and software configurations for peak performance. The tuning process is automatic, resulting in less time spent by engineering and IT staff on tedious and mundane tuning tasks. Use Optimizer Runtime to continuously monitor and automatically optimize systems in real time, or use Optimizer Studio to discover optimized configurations offline. Easily define the optimization target (CPU retired instructions, network bandwidth, database queries, minimum server energy, etc. ), and new tunables in YAML configuration files. Optimize virtually any system, whether complete servers or individual hardware or software components, running on bare metal, containers and even VMs. Navigate smartly and automatically across the practically limitless possibilities for system settings using machine learning techniques. Use Optimizer Runtime to dynamically apply the best system settings for each program phase separately to outperform the performance achieved with using static settings. Dr. Tomer Morad, CEO of Concertio presents at the 2017 HPC Advisory Council Stanford Conference. Optimizer Studio is able to relieve engineers from the task of finding optimal system settings, as it achieves at least comparable performance to manual tuning – but without the manual effort. 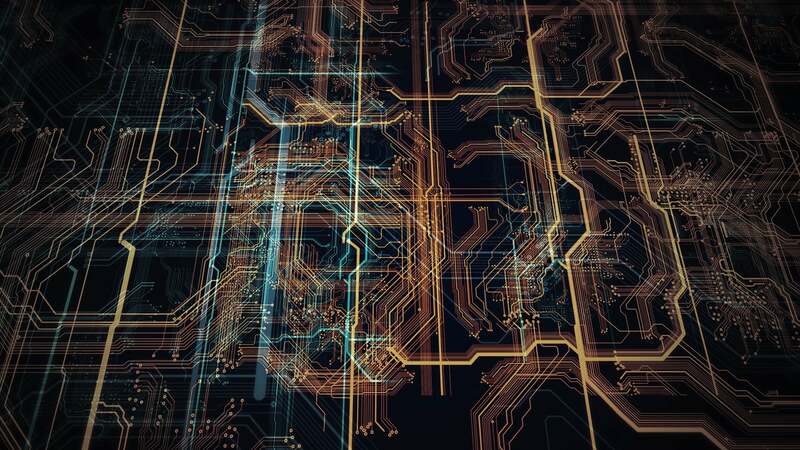 With Concertio technology we can enable optimal tuning to different networking workloads varying from HPC to cloud, storage, NFV and artificial intelligence. Concertio Optimizer Studio is a great addition to ThunderX2’s growing ecosystem as it can automate compiler flag mining of existing and newly-ported applications and improve their performance. Built for the needs of traditional datacenters and high-performance computing systems (both on-premises and in the cloud), Concertio Optimizer is an easy-to-integrate performance optimization software suite that monitors (and learns from) the interactions between applications and systems, to deliver optimal configuration settings for peak performance. Optimization toolkit for performance engineers and IT professionals aimed at optimizing systems, servers and components. Leverage the power of Optimizer Studio to optimize workloads, shorten time-to-market and deliver the most ideal configuration settings to your production environment (or to customers out of the box). Dynamically optimize your systems and applications with automatic, real-time configuration adjustments that adapt to the different phases of program execution and deliver peak system performance.